Herefordshire Business Board was created in response the the formation of the Marches Local Enterprise Partnership (Marches LEP). The Chair of the Herefordshire Business Board has a place on the Marches LEP board to ensure that the views of Herefordshire businesses have representation at LEP level. 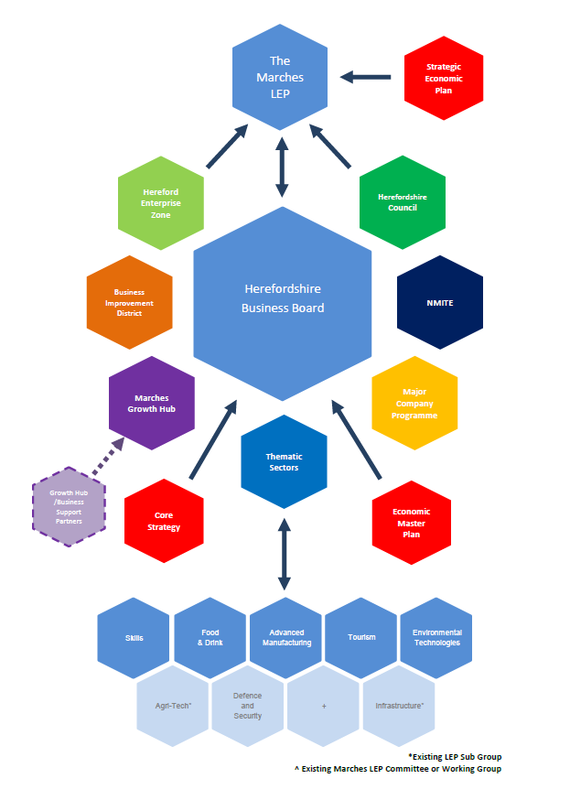 The Herefordshire Business Board has close links with Herefordshire Council and are regularly asked to contribute to consultations and steering groups related to the Economy of Herefordshire.